Oh hello. We’re shuffling things around here a little bit, and I’m your new Monday Queue person. Have a seat. Have some cookies and milk. Let’s just take a snack break and answer some of your questions, shall we? Did I miss something or why has Lilian Voss gone from hating the undead and being one of them to gleefully taking bodies to be raised into Forsaken? On the one hand, it seems out of place — especially given Lillian’s origins. She was part of the Scarlet Crusade after all, and they were pretty focused on eradicating any undead they happened across. Or, you know, living people that might have been working with the undead. Or living people that might have seen an undead creature once from afar. The Crusade wasn’t particularly picky. Lillian was devoted to that cause, but when she was raised from death she suddenly had to come to terms with the fact that she was the very thing the Crusade sought to destroy. She was captured, and instead of any kind of sympathy for her fate, her father pretty much straight-up disowned her on the spot and ordered her execution. So Lillian was suddenly on the other side of the looking glass, as it were — forced to look at what she’d done as a Crusader through the eyes of an undead. That’s more than enough to give anyone a poor view of the living — so that might explain it a little. But it doesn’t feel quite on the mark, does it? However, Lillian is also a member of the Uncrowned in Legion. It’s entirely possible all her allegiance to the Forsaken is a subterfuge for some other purpose we simply aren’t aware of as of yet. She could be trying to bring the undead down from the inside out, for all we know. Or she may have just completely cracked under the weight of what she’s become, and now she’s a little loo-loo. That’s probably the most straightforward explanation, although it’s hardly satisfying. The thing is, it kind of feels like we just don’t have the full picture where Lillian is concerned. We’ve followed bits and pieces of her path, but her actual motives and what she’s ultimately trying to accomplish are still kind of up in the air. That said, I’m kind of hoping we see more of her story eventually. She feels like a character that has a lot of potential, if utilized correctly. QftQ: Given that the Nightwell was a Titan-constructed arcane well, now dwindling without its Titan-focus, could Azerite be used to stabilize the Nightwell (it’s Titan-arcane essence) to create a font to empower the shal’dorei and Suramar again? It’s entirely possible, but the Nightborne aren’t interested. Thalyssra was pretty clear that it was best for the Nightborne to just let the thing die out. The Nightwell has been a cornerstone of Nightborne existence for thousands of years — their dependency on it grew to the point where not being around it made them wither away. That’s…not an ideal situation, and that’s partially why Thalyssra was working so hard on finding a cure. They don’t need the Nightwell for sustenance anymore, it’s not key to their survival. So even if it could potentially be rekindled with Azerite, I don’t really see Thalyssra wanting her people to go down that path again. Q4TQ: I know Blizzard likes to pretend the only viable AHs are in the original player capitals like SW and Org, but they seem to love to put Engineer-only AHs in current content (like new Dal), which just means all my alts get engineering for the soul purpose of convenience AHs… Regardless of what Blizzard tries to force on me. Having said that, and aside from the Brontosaurus mount, is there an engineering-only AH in BfA content, like in KT anywhere? If so, where is it? 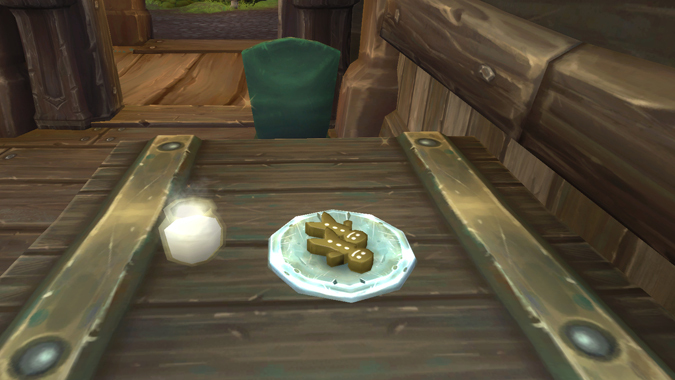 As an engineer, I have wandered up and down the streets of Boralus, searching for the elusive and exclusive Auction House, only to come up empty. It appears that the days of that super-convenient perk are over, unfortunately. But it’s not so bad, since both Boralus and the Horde Embassy in Dazar’alor have portals that will take you to any of the capital cities easily enough. So yes, you’re going to have to travel again to indulge in commerce — but you won’t have to travel too far. During the beta there was a lot of discussion that the Horde zones/quests/etc were superior to the Alliance version. Now that the game is released and the content is finalized, does anyone still feel this way? if so, why? I think trying to compare the two leveling areas is like trying to compare…I don’t know, a nice coffee cup and a good pair of comfy shoes. They’re two wholly different experiences, which I appreciate immensely. I like a nice coffee cup. I also like a good pair of comfy shoes. Both are great things, but for vastly different reasons, if that makes sense? Mind you, most of what I do while leveling involves paying attention to the story. There’s two very different stories being told here, depending on which faction you’re leveling. It’s sort of like playing through the Rogue class hall campaign, and then playing through the Death Knight class hall campaign. Two entirely different stories, with maybe a little overlap as both are dealing with the whole assault on the Burning Legion, but the plot points are all different. So I think it really boils down to personal preference, honestly — and I like each side for different reasons. What Overwatch hero would you want to see in Heroes next? I think it’s actually been a while since the last one (Hanzo). Honestly, I kind of want to see what Zenyatta could do in Heroes. Alternatively, Moira — but I think Zenyatta might be a little more fun with his buffs and debuffs. Alternatively, I’m kind of wondering what a Heroes version of Hammond would look like. The ability to swing around objectives might actually be really useful, and it’s certainly a different approach to clearing a lane. Q4tQ: Do you ever fall off of something and feel silly enough that you just hearth or whistle out instead of, say, climbing back out of the water in Boralus because you missed the gangplank for the ship? Asking for a friend. Most of the time I feel really silly when I forget I have the flight whistle as an option — which happens more often than you’d think. Leveling to 120 without it kind of trained me out of using it. Having it available again is incredibly useful, particularly when I’m crawling around the landscape exploring every nook and cranny, only to find myself abruptly stuck in one of those nooks and crannies. I’m really glad they carried that one over from Legion. That’s it for today’s Queue — if you have any questions you’d like to see answered, be sure to leave them in the comments below!